As I travel the world with my Quit Drinking Bootcamp, I have lost count of the number of amazing mom’s and dad’s I have met who are suffering from something called Empty Nest Syndrome. It’s something that doesn’t get a whole lot of attention in the media, but it is a powerfully painful thing to deal with for many people. Painful enough to send then reaching for a sedative to make it go away. Change is challenging for most individuals, and let’s be honest… it’s unavoidable in life. 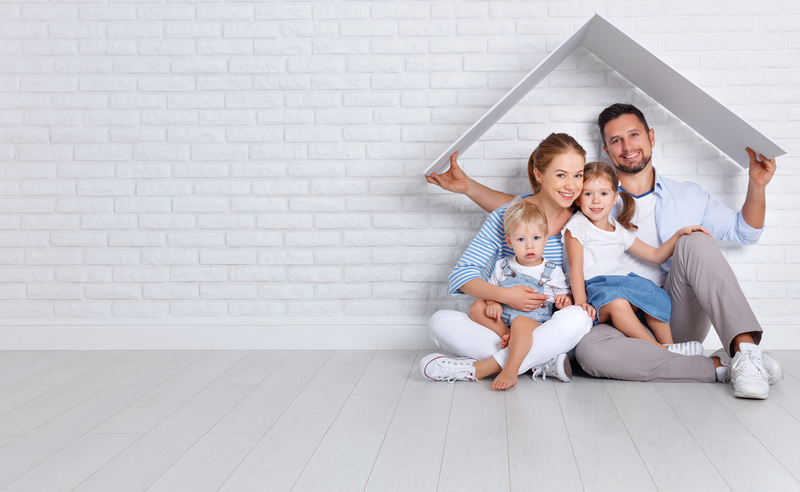 It may be particularly tricky, however, for a mom or dad all of a sudden coping with an empty house, that moment in life when their last teenager or grown-up child finally leaves home to set out on his/her own. For many moms and dads, the freshly abandoned home ushers in the liberty to rediscover their own wants and desires more intensely. However, many other parents, are incredibly saddened by the experience of sending those not-so-little-anymore boys and girls off into the world. 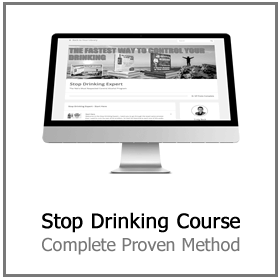 The psychological ache can be considerable enough to set off (or aggravate) a dependence on drinking, resulting in misuse or addiction, and a necessity for courses like The Stop Drinking Expert. Empty nest syndrome happens when a mom or dad experiences deep and long term unhappiness, solitude, or grief when a child (typically their oldest child) vacates the home for the very first time. Even though it’s not a medically recognized disorder, its manifestations are very genuine. Sometimes, the effect is severe. Empty nesters can battle with serious despair or unhappiness over the loss of their son or daughters’ continuous presence in the house. The lack of noise from bedrooms once full of happiness, pop music, and giggling is unbearably loud. Challenging feelings vary from apathy and boredom to tearfulness and melancholy. For those whose lives orbited completely around their kids, whose whole sense of worth and value originated from being needed as a mother or father, the loss may be overpowering. Although most imagine an empty nester as the mom who’s sobbing at the door as her son or daughter drives away, analysis has revealed that dads are also profoundly affected by a freshly vacant household. In a report carried out by Doctor Helen DeVries, the mothers interviewed seemed to have had a less challenging time than anticipated when their kids left home. Instead, they were already considering the next phase of their lives. A lot of the dads, however, mentioned being psychologically caught off guard by the loss. They were also more prone to feel remorse regarding missed opportunities and a shortage of quality time spent with their kids back when they had the chance. Empty nest syndrome may result in alcoholism and dependency if a parent relies on drinking as a way of easing undesirable feelings. Alcohol may supply a short-term release, numbing unpleasant feelings or mitigating stress and anxiety about the future. Sadly, though, the desired benefits are short-lived. Not only that, if alcohol consumption becomes a routine activity, increasingly more will be needed to get the same impact. As problem drinking takes hold, shifts occur within both the physical body and the brain, affecting everything from how a person reasons to the way his/her major organs perform. Empty nest syndrome isn’t always the only root cause of a drinking problem that forms or becomes worse after a child leaves home. 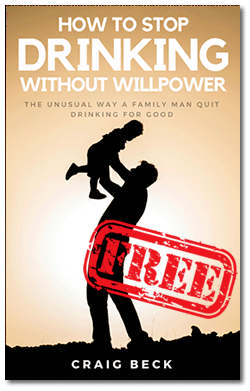 Numerous other variables can also raise the danger that an aging mom or dad will have a problem with alcoholism. While the unfavorable emotions of an empty nest can impact any parent or caregiver, some people are more susceptible to alcoholism. For instance, clinical depression is a significant risk variable for problem drinking and dependency. If there’s a history of depression, it can result in a raised danger of excessive alcohol usage. This susceptibility is particularly elevated throughout significant life modifications, like a grown-up son or daughter leaving home. The relationship between mothers and fathers can be affected unfavorably too. For instance, caring for little ones might be the single most significant activity that a husband and wife carry out together. What happens when that task they’ve devoted so much time focusing on is effectively gone? It’s not unusual for one or both partners to feel that the other has changed since the relationship started several years previously. 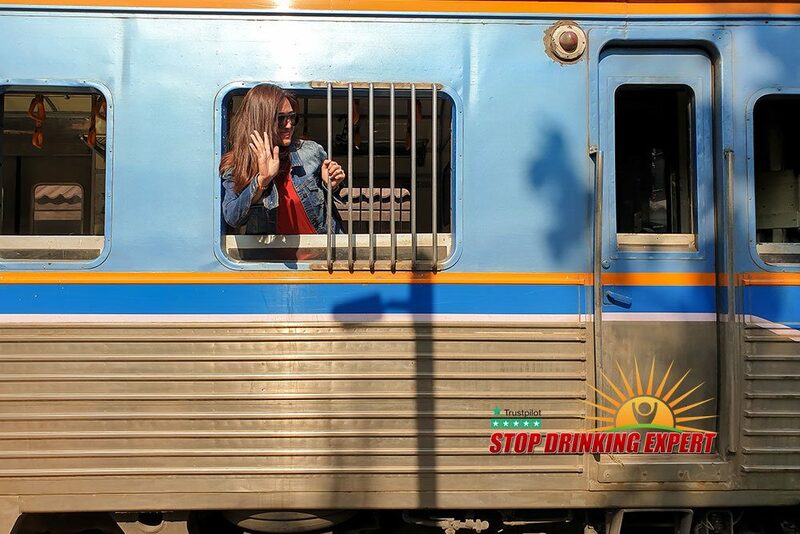 Relationship problems can push an already sensitive individual to look for alleviation in drinking. Monetary concerns can also intensify the unfavorable feelings of an empty nest mom or dad. Lots of parents stress over shelling out for their son or daughter’s college expenses, including university tuition and living expenses. With the skyrocketing costs of university, this amount can rapidly get to $35,000 or more, only for a four-year diploma. Retirement is typically not far around the bend during the time kids become grownups. For moms and dads who have been engulfed by the duty of caring for a family, the strain of not having accumulated adequate pension funds can add additional pressure too. Along with the variables discussed above, the empty nest commonly accompanies a considerable time of life for lots of moms and dads. Moms might be experiencing perimenopause or menopause, which could be taxing per se. Hormonal changes and shifts can quickly create chaos with feelings, and even set off a spell of clinical depression. Lots of moms and dads are also taking care of other significant life adjustments, like looking after an elderly parent or grieving the loss of one. There’s no doubt that this period of life can leave many mothers and fathers feeling alone, anxious, restless, uneasy, or upset. When all these adjustments and hostile feelings appear to stack one on top of the other, a drinking problem can quickly build in susceptible or predisposed folks. Addiction therapy can become essential to turn things around. Empty nest syndrome is not rare, but self-medicating with alcohol is never a remedy. 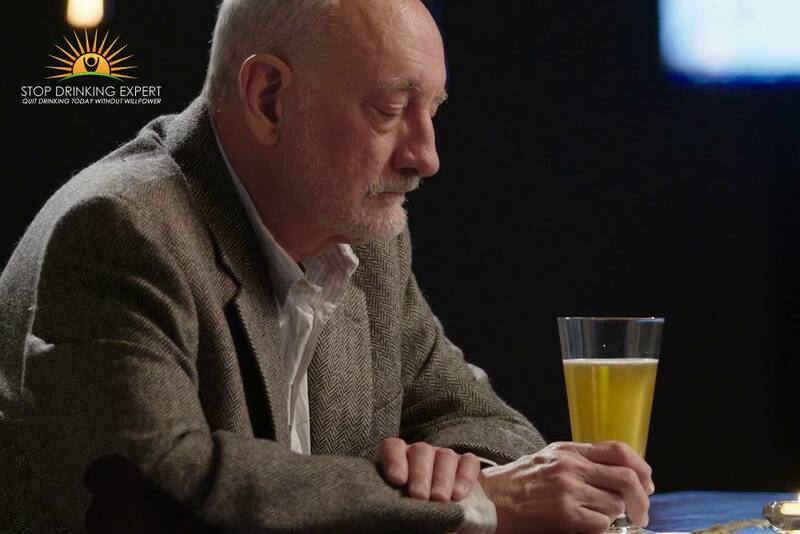 If you or somebody you love is coping with feelings of unhappiness, stress, and anxiety, or sadness by drinking heavily, it’s time to reach out for help. What I am about to say about empty nest syndrome also applies to every other problem people are using alcohol to try and fix. If you lose something you love from your daily life you absolutely must replace it with something. If you leave a vacuum behind it will grow and deepen. At Bootcamp, when I raise this subject the empty nesters say ‘but I had already found my purpose, and I lost it, so what do I do now’? My answer is always the same; all that love, compassion and patience that made you a fantastic parent is still there inside you. The first thing you have to do is see that beautiful side of your personality as a huge benefit and something of significant value. Caring, protecting and nurturing other human being gave you a sense of purpose and let’s be honest, it made you happy. So why have you stopped? Is it not true that there are millions of people and animals in this world who are desperate for someone to care. You have a wonderful gift, you are filled to the brim with love and just because the people you have lavished that gift on for a couple of decades have moved away does not mean there is nowhere for it go anymore. The pain you feel in the moment is a signal that you are not doing what you are here to do. You can try and silence it with alcohol but you already know how that worked out, or you can stop damming the river and let the love flow once again. 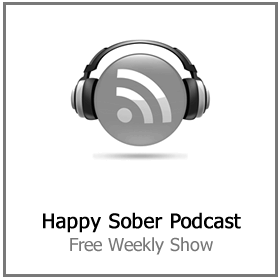 Are you turning to alcohol to deal with empty nest syndrome or any sort of emotional pain? It’s not a solution, but you already know that right? 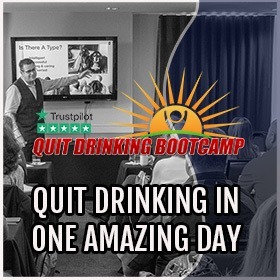 Craig Beck is the Stop Drinking Expert and has helped over 100,000 people to deal with problem drinking quickly and easily. 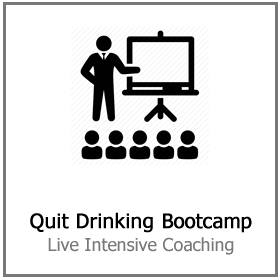 There is a completely private online course or live quit drinking seminars – pick the solution that works best for you. 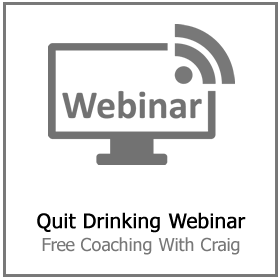 Why not join us today for a free quit drinking webinar?